Q: My four months old English Mastiff puppy is on dog food. Her weight is 29 kg. What quantity should I feed her per feeding – I feed her three meals a day. My puppy is not ready to walk long distances. At what age will she be ready to walk long distances? Do advice her exercise needs according to her age. Dr KG Umesh: Feed the required quantity as mentioned on the pet food label, three to four times a day. All dogs need exercise but the amount depends greatly on the individual dog. Puppies don’t need to be encouraged to exercise. However, you have to be careful not to over-exercise them because their bones aren’t very strong. Large breed generally becomes adult by 24 months of age. The rule is to exercise them a little, and often, probably not lasting for longer than 20-30 minutes for each exercise. Exercise to your dog’s abilities, not yours. Q: I have a three years old female German Shepherds, who is facing skin problem at chest and thigh. My vet prescribed medicines. After using the medicines on a regular basis, my observation is that the problem reduces in a slow manner but also spreads in the other areas rapidly. I am facing this disease with my dog since last 5-6 months. Please advice. Dr KG Umesh: German Shepherds are highly susceptible to certain chronic skin diseases. All chronic or recurring skin problems require some lab tests to find underlying cause. Your vet can do simple skin and blood tests that will help to identify causes like parasites, allergies, fungal or yeast infection, etc. 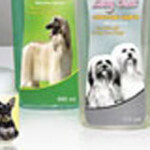 Therefore, my approach would be to find underlying cause and then your vet will be able to recommend suitable shampoos and medications that will eliminate the cause and therefore recurring problem. Q: Buddy- my four and a half years old Golden Retriever’s platelets count is very less (76000) and is undergoing treatment since Dec’10 for the same. It increased from 55000 to 76000. Moreover he’s got a ringworm problem too. Lately the test showed a reduced thyroid too. Please advice. Dr KG Umesh: It is difficult for me to suggest specific treatment or diagnostic plan with the available information. Considering his multiple medical problems, I would suggest a complete medical examination and lab tests to arrive at a confirmatory diagnosis. These medical problems may be complications from an underlying disease or may be unrelated also. Q: My two and a half months old Lab male puppy is frequently urinating and defecating inside the house. How do I house train him? Dr KG Umesh: House training rarely presents a problem with puppies who have been reared under normal conditions. A young puppy needs to urinate and defecate frequently as he has a very small bladder and bowel. This gives you as a puppy owner plenty of opportunity to praise your puppy for performing in the right area, allowing him to learn quickly. Do not punish your puppy for doing wrong. It is your responsibility to ensure that you take your puppy to the chosen toilet area as frequently as he needs to go, generally as soon as he wakes up, after every meal and at hourly intervals. Take your puppy outside, wait with him until he performs and then praise him by giving him a snack or playing with him. Whilst he is learning, it is essential that you wait with him, so that you can praise him at the correct time. Young puppies will inevitably have ‘accidents’. It is important to ignore these, and to clean up well so that the smell does not linger, as this may encourage him to repeat the performance on the same spot. Do not scold your dog for mistakes, but rather reward him when he is correct and he will soon want to go outside. It is also possible to train your dog to urinate and defecate on command. Q: How can I take care of a Rottweiler during summer? 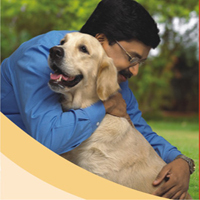 Dr KG Umesh: Generally dogs eat less in summer because of heat or heat stress. But energy requirement increases with increase in ambient temperature. This means he may need to eat more during hot summer. A well-balanced nutritionally complete diet like Pedigree confers some protection against the effects of heat stress. Feed during cooler part of the day, if possible or increase frequency of feeding. Remember to give them plenty of water so he doesn’t become dehydrated in the warm weather. It’s extremely dangerous to leave a pet alone in a vehicle/room/outdoors in the sun – even with a window open – as an overheated car/room can have fatal consequences. Avoid exercising your pet in the midday heat and stick to early morning or late afternoon when temperatures are cooler. It’s important your pets get their annual vaccinations and regular worm/parasitic treatment during summer.